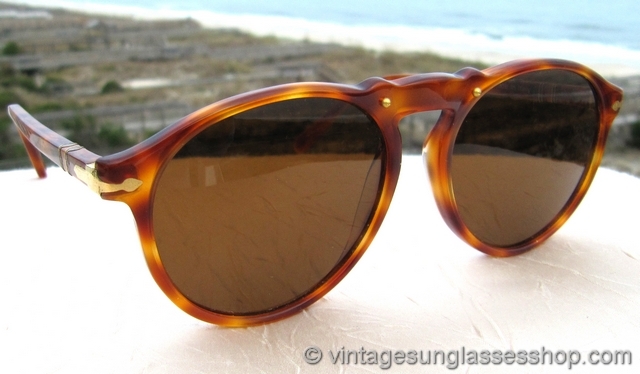 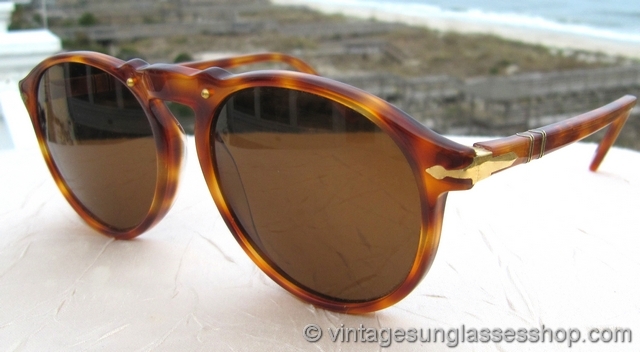 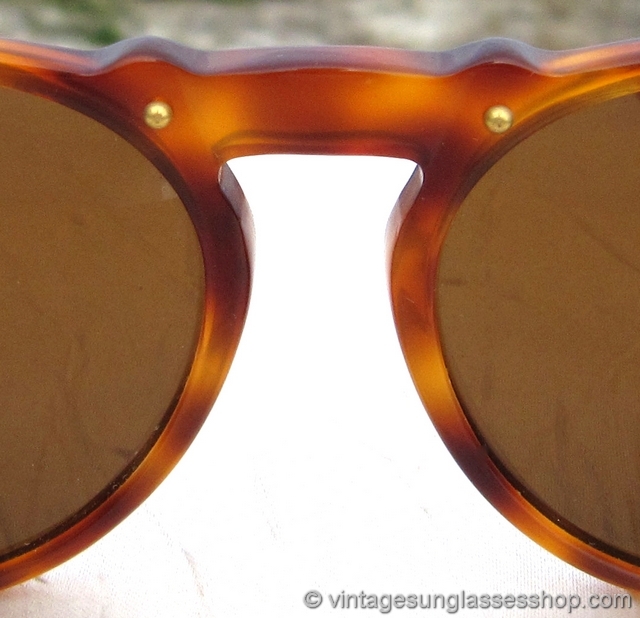 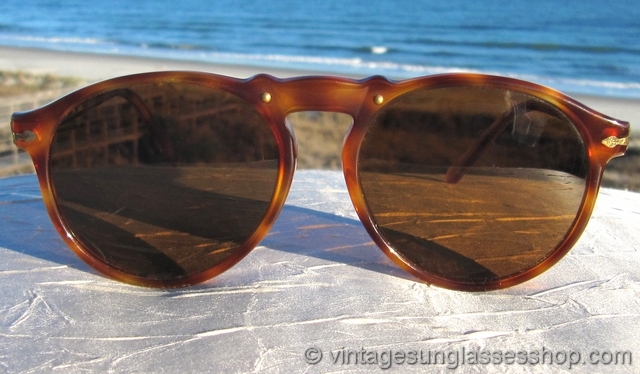 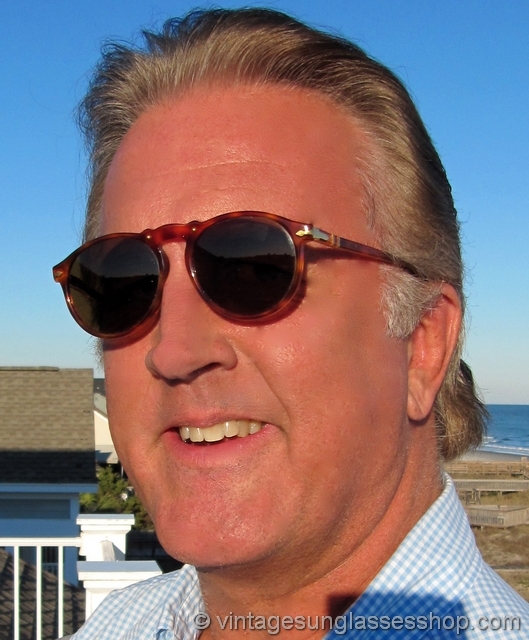 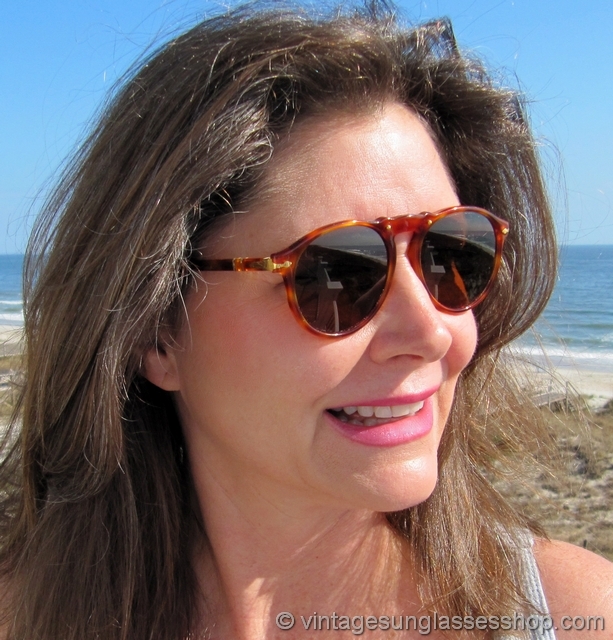 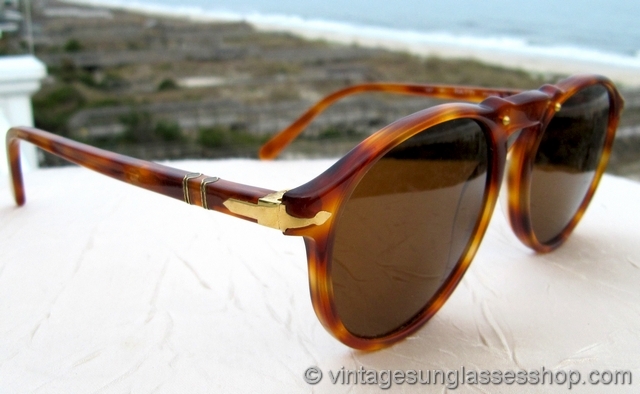 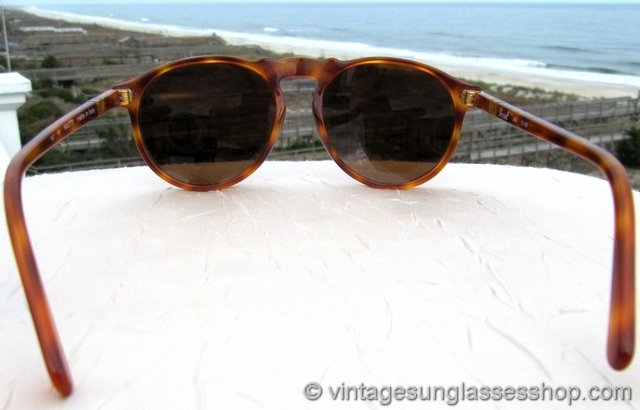 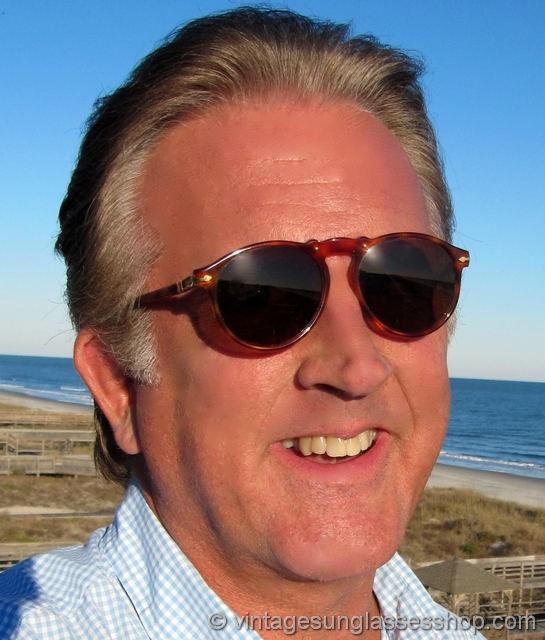 Vintage Persol 309 Meflecto Ratti sunglasses feature the hard to find translucent orange tortoise shell Meflecto frame and Persol brown mineral glass lenses, one of the most popular of all vintage Persol sunglasses styles and a favorite of celebrities. 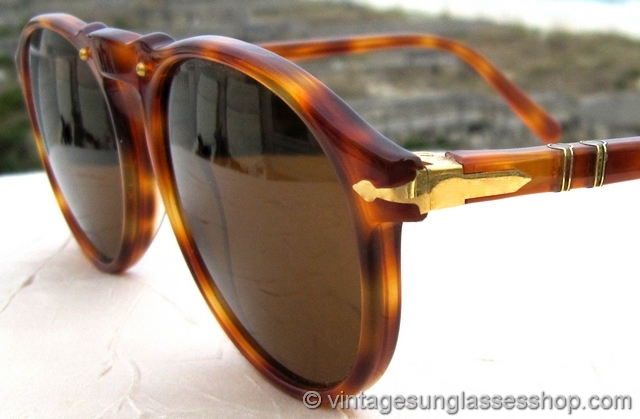 The Persol 309 tortoise shell frame has the outstanding translucence for which Persol Italian sunglasses have long been known, and this style is unique in that you'll find gold hinges and Persol supreme arrow rather than the more common chrome. 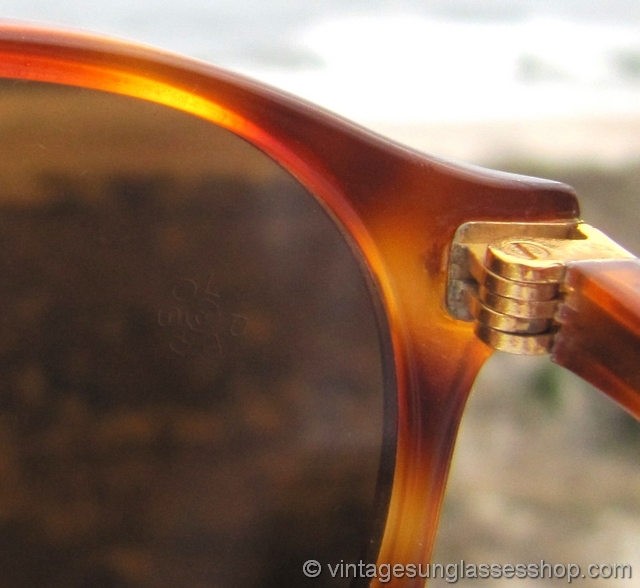 The patented Persol Meflecto system consists of 2 cylinders imbedded in both ear stems to give you unparalleled flexibility and a perfect fit. 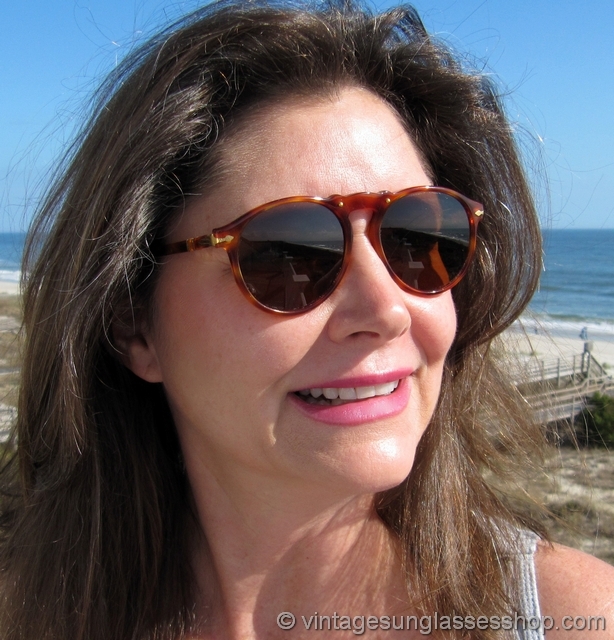 The unisex Persol Ratti 309 frame measures approximately 5.125" temple to temple, and the lenses measure approximately 1.875" x 1.675" at the widest points with both lenses laser etched with the round Persol trademark. 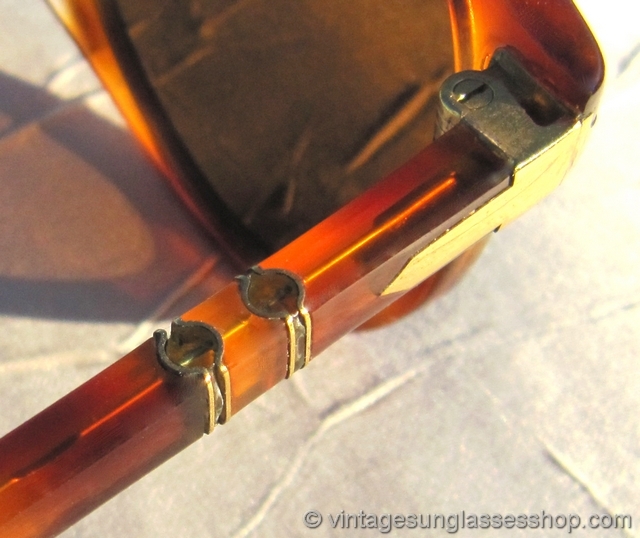 The inside of one stem is marked Persol 309 50 68 while the inside of the other stem is marked 147 41 Ratti Made in Italy, new old stock Persol Ratti 309 sunglasses in mint, unworn condition from a defunct 1980s Beverly Hills, CA optical boutique.